​When the topic of materiality is at the table several questions naturally arise: what is materiality? what is the approach to materiality? Which reporting framework – GRI or IIRC – is the correct framework to use? Is it just a corporate reporting exercise or is there more to it? ​All these questions are relevant. Their answers have evolved over the years and will continue to evolve. With companies gaining a grip on the topic, we spoke with Nishant Parekh, Sustainability Consultant at ING Group (a Dutch based Global Financial institution), to share ING’s journey and experience on the topic. He is also a Datamaran user. “For us materiality matters. It helps us improve as an organization, provides an opportunity to listen and engage our stakeholders and informs the content of our Integrated Annual Report. Materiality analysis provides insights into future trends and business risks and opportunities that influences our ability to create value. It helps identify topics that our stakeholders, both internal and external, expect us to focus on. The outcome of materiality analysis is an essential engagement tool internally: to review our management approach on material topics and assess where we can improve. Regular materiality cycles offer a natural moment to engage our stakeholders and hear their voice. It is important to have direct contact and capture their opinion first hand. This essentially demonstrates our proactive listening approach.” How to get your stakeholder voice heard is also discussed in a case study with Zurich Insurance. What are the future trends in materiality? “To summarize in one line: it’s the convergence of materiality. As the line between financial and non-financial disappears, so too does the need to look upon the concept of materiality between financial and non-financial disclosures differently. There is wide and general agreement that materiality is important and should be part of corporate reporting (recent EU Non-financial reporting directive confirms this). And when looking at recent developments, like work by Corporate Reporting Dialogue, the small differences, such as between the IIRC and the GRI become almost pale into insignificance. "It is important to remember that materiality should be key to strategy – reporting should come after." It needs to be embedded in relevant processes as much as possible; and be part of the broader concept of what a company does. e.g. not just financial value, but social, human, intellectual and environmental capital too. 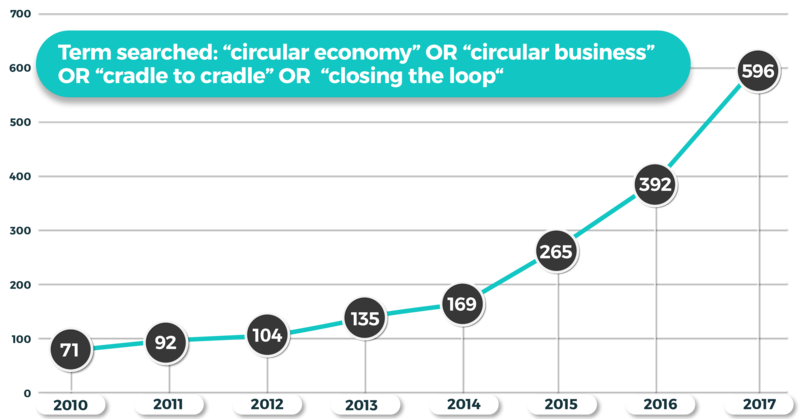 What is ING’s materiality journey? 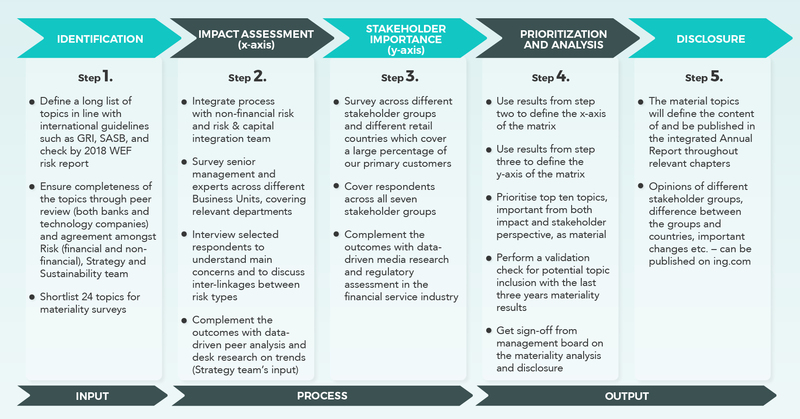 “Our materiality journey started in 2011 with a stakeholder expectation map that outlined key stakeholder groups and their expectations. In the following years, we moved from strength to strength to conduct our first global stakeholder and senior management and expert survey in 2014. In 2015, we defined a three-year cycle to complement surveys with qualitative stakeholder dialogue. 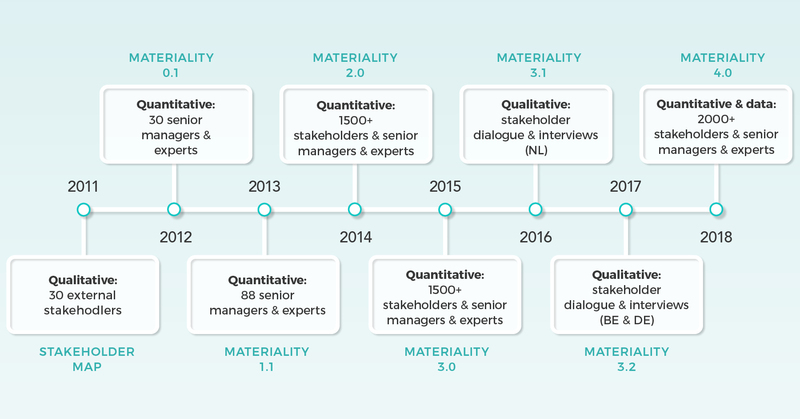 Our quantitative assessment, involving 1,500 respondents across five countries and six stakeholder groups and 68 senior managers and experts, was enhanced by stakeholder dialogues and senior management interviews in 2016 and 2017. We progressed further in 2018. We complemented our quantitative (survey-based) approach with digital data-driven analysis; we integrated our materiality process with Enterprise Risk Management (ERM); and we included a dynamic element – analyzing topic velocity and stage of development – within our materiality analysis. What are the key objectives of a materiality analysis? What is the process adapted in 2018? “Our 2018 materiality analysis has a fresh start. 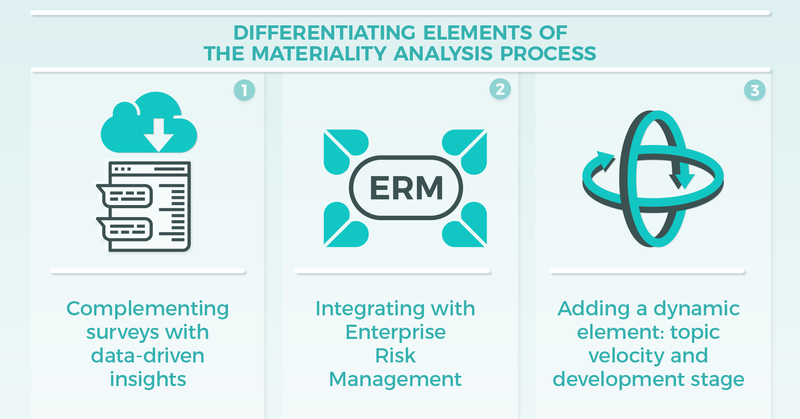 Both the axes of the matrix – stakeholder importance and impact assessment – are redefined and updated.” Datamaran shared its seven tips to the perfect materiality analysis in this recent blog, which gives a step-by-step guide on how to conduct a robust and efficient analysis. What are the three differentiating elements of this process and why? Adding a dynamic element—analyzing topic velocity and stage of development—helps better anticipate future business risks and opportunities." What Datamaran capabilities did you leverage? “With Datamaran it became a much easier process to identify topics to be included in surveys. 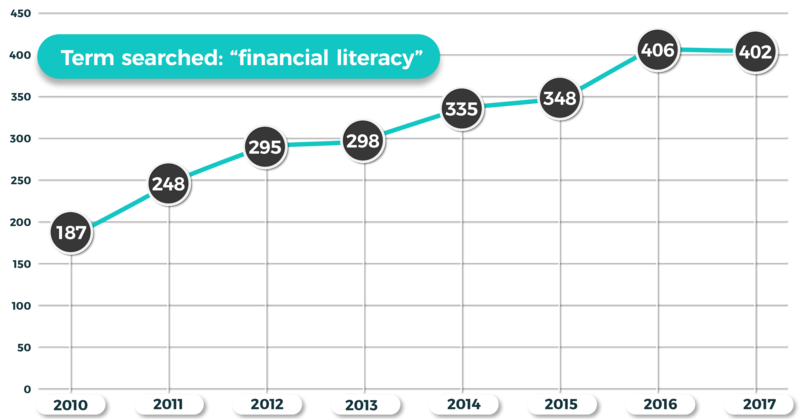 The data-driven analysis of top 20 topics in financial service industry helped us narrow down our own topics. Datamaran has a list of 100 topics built into the platform that are in accordance with the GRI, SASB, and the COSO/ISO standards for ERM. Datamaran also provides a structural foundation of annual reports, SEC filings, and sustainability reports. This helps us benchmark within the Banking industry and perform peer analysis in a resource efficient and data-driven way. It has clear value added also from an audit perspective as all information can be tracked to each and individual data source. Next to media research, another interesting feature of Datamaran is how tailored and granular our materiality analysis can be made. The ontology that is represented by a list of 100 topics that the platform tracks—can be grouped together and selected in any different variation, meaning they reflect our vision and are very relevant for our business. 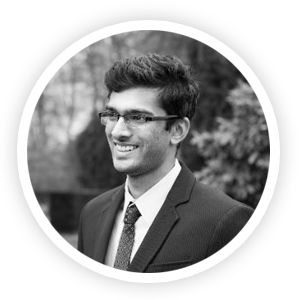 All these aspects provide us with data-driven insights to create a robust analysis. The graphs below illustrate some of our search queries. They indicate global trends as they show how often companies refer to the searched terms in their corporate disclosure, including Annual Financial Reports, Sustainability Reports, and SEC Filings. Scope of the research includes 7837 world’s largest companies from the Datamaran universe across all sectors [accessed on 14 November 2018]. Do you think Datamaran can help you? We would be delighted to give you a personalised demonstration of Datamaran tailored to your specific needs, please simply fill in the form on the right hand side and we will be in touch.